What have the sport of athletics and the motor industry got in common? At present, both are facing major crises in their credibility, centred on allegations that important test results have been doctored or covered up. And in the motor industry’s case, there are potentially serious ramifications for the whole of the sector, as it appears that certain figures on which buyers may make decisions that involve them spending big money can’t be relied upon. Just as in athletics, where claims have been made that senior officials knew about widespread violations of rule-breaking, but conspired to cover them up in efforts to safeguard the sport’s credibility among sponsors and fans around the world, it’s claimed that the general public’s trust in the results of tests which can have a major influence on trust in certain brands are fundamentally flawed, and do not reflect ‘real world’ performance. That’s why consumers’ champion Which? has launched a campaign to urge manufacturers, and their allied networks of dealers and marketing teams, to ‘come clean’ on the claims they make for the emissions levels of their vehicles. It commissioned its own series of tests, which involved it analysing results from tests on more than 300 vehicles its testers have put through their paces since 2012. Startlingly, its researchers found that a huge 95 per cent of diesel cars, and 10 per cent of petrol ones, have had their true level of emissions of potentially harmful materials under-reported. What’s important to remember, though, is that Which? doesn’t blame the car-makers themselves - rather they say it’s the testing system which is at fault. It says that the system for testing every new model’s emissions is just as unrealistic as the one which also produces the ‘official’ fuel economy figures, which themselves have been shown to be inaccurate in the vast majority of cases. Manufacturers have disputed some of the more extreme claims made by Which? 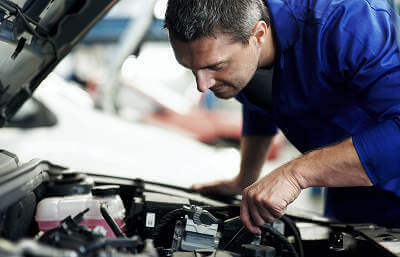 about the methods they can use to obtain more favourable results than are actually achievable - while their UK trade body, the Society of Motor Manufacturers and Traders, also insists that manufacturers aren’t allowed to change the “production specification and tolerances” of any car to help it boost its performance under test. Yet the Which? investigators say both the fuel consumption and emissions tests are “lenient and exploitable” because, in a test scenario, cars are not put through a driving cycle which truly represents everyday driving conditions. While Adrian Porter of Which? admitted that its own tests were also done in a lab, but added: “We use more challenging and more realistic driving cycles [than the official New European Driving Cycle (NEDC) test], based on the new test we are pushing for the industry to adopt. “We will also be adding on-the-road emissions tests in the future,” Porter promised. What Do The More Stringent EU Tests Cover? New emissions standards, called Euro 6, came into force in September 2015 - ironically the same month in which the Volkswagen emissions scandal broke. These are updates of tests which have been in existence since 1993, and progressively updated since then. The gases which cause the greatest concern are nitric oxide and nitrogen dioxide, both of which are emitted from cars’ exhausts. Why Should I Be Worried About Which?’s Findings? These gases have been identified as common causes of asthma attacks and, when breathed in in higher concentrations, worsen a range of respiratory diseases, such as emphysema and chronic bronchitis. So if you, or someone you know, suffers from any of these conditions, you’re likely to be concerned by Which?’s findings. A further source of a range of complaints is particulate matter which is mainly burnt fuel that passes out through a car’s exhaust. These particles can irritate your eyes and/or throat, yet, at present no tests measure the levels of them produced. Which? says it will next turn its attention to these emissions, and is expected to produce another report in due course. What does Which? want to achieve? “The gap between official limits and reality is unacceptable,” it concludes. It wants to see the tests revamped so that they capture a true picture of all vehicles’ day-to-day emissions performance. Until then, it believes that buyers in the market for a new car should be wary of making any buying decisions based on claims made of any particular car’s ‘green’ credentials. Are you surprised at the findings by Which? And how importantly do you rank a car’s emissions figures among the factors you take into consideration when choosing a new model? We’d love to hear your comments. Tweet us your thoughts on the matter @MyCarNeedsA_ on Twitter.